Stop worrying about tax documentation. 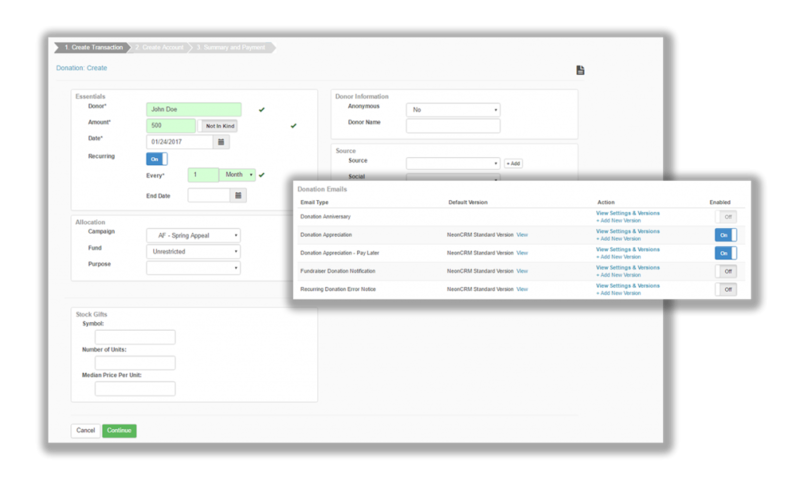 Neon automatically sends every donor all the information they need for the IRS. 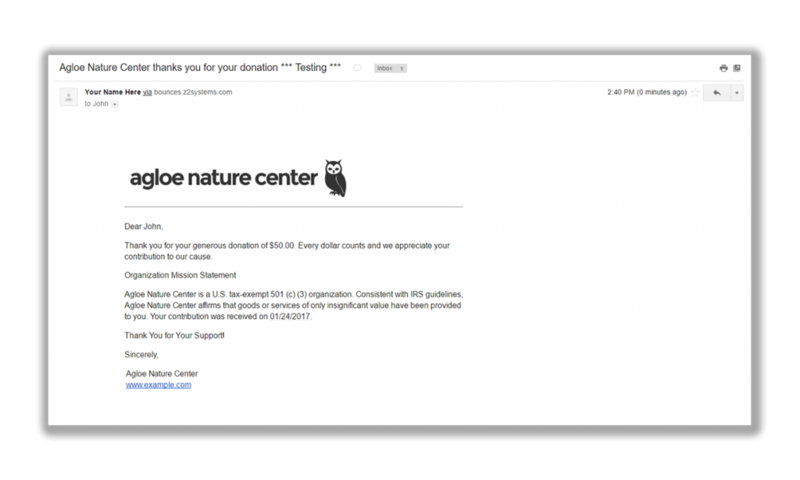 Every donation triggers an automatic email donation receipt. We handle the receipting, so you can focus on building a relationship with the donor. 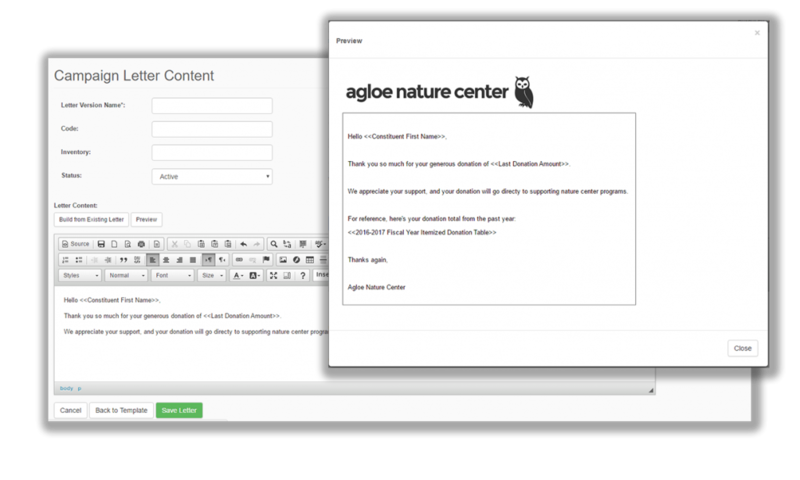 Customize your thank you process for donors with any combo of automatic emails, activity reminders, and physical thank you letters. 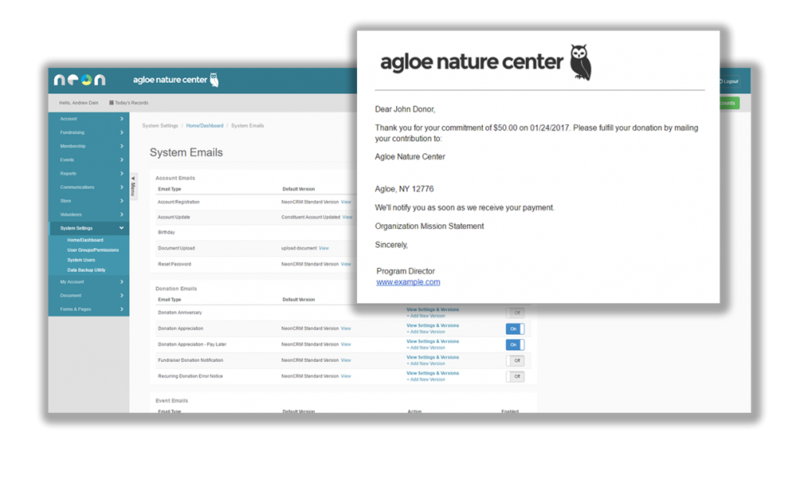 Print donation thank you letters or physical appeal letters with our built-in mail merge features. 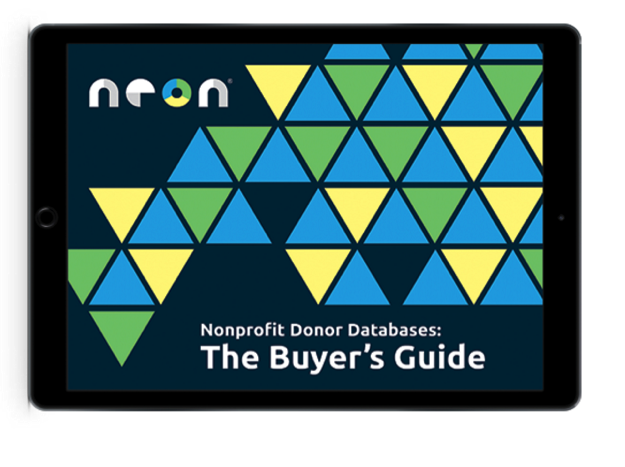 Download our free eBook on everything your organization needs to know before researching, evaluating, and purchasing a nonprofit donor database.